You have exhausted your 5 free poetry pages per month. 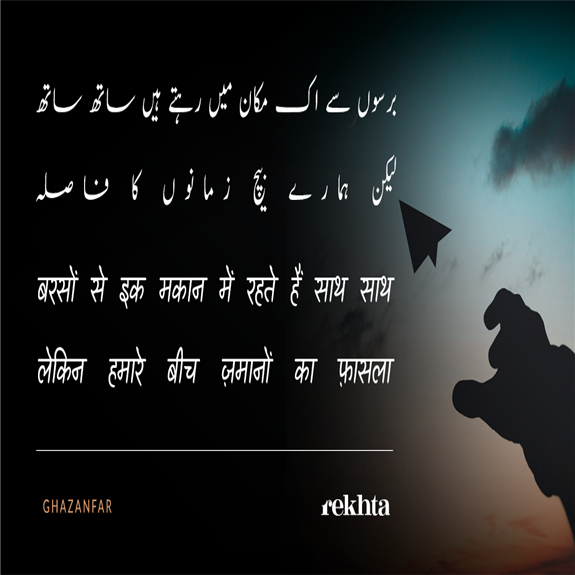 Register to join Rekhta family for FREE ACCESS to full website and unique features. 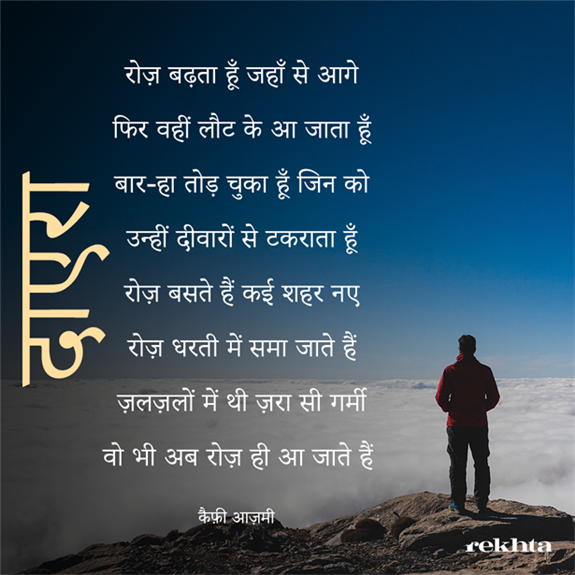 First of its kind online treasure of image shayari where you can find thousands of mesmerising poetic couplets with images perfectly describing their essence. With these images, you can envisage new poetic dimensions! 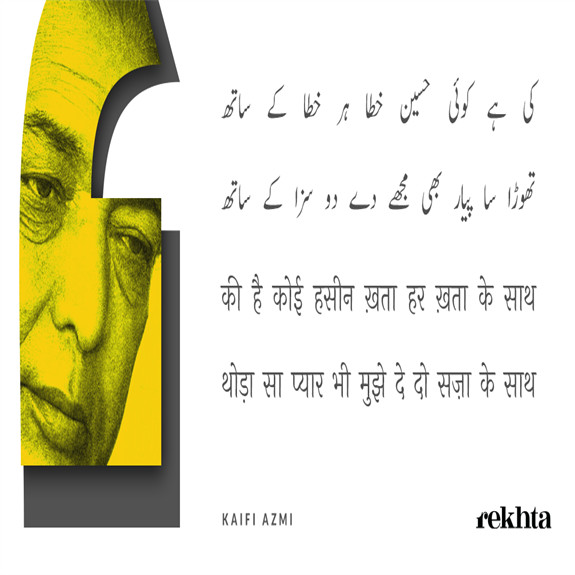 Read and share your favourite poems among your associates. 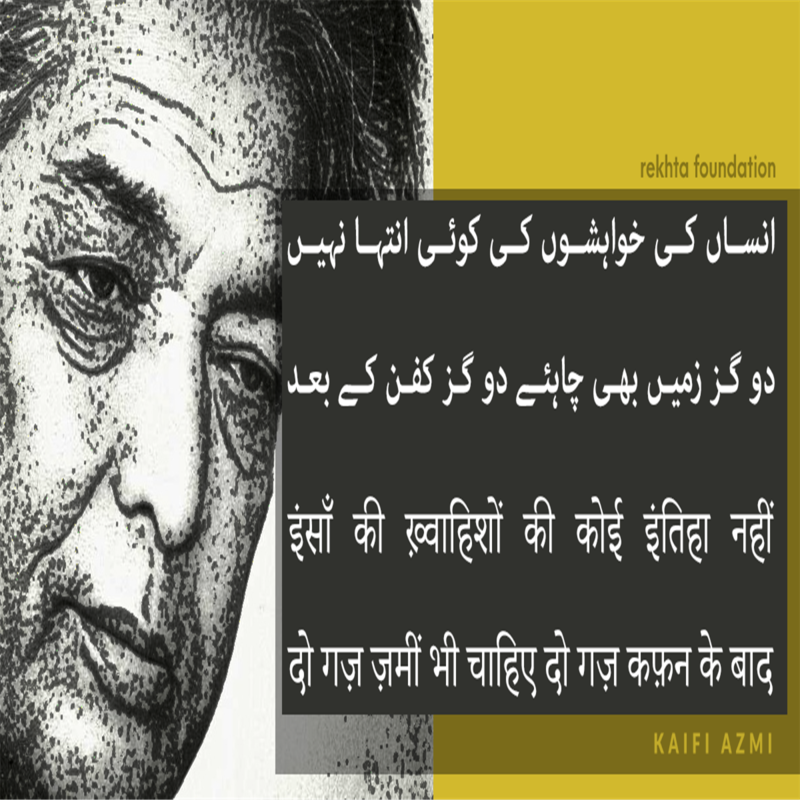 More Shayari From "Kaifi Azmi"